"Teaches a very formal Arabic and lacks focus on colloquial phrasing." Arabic is generally recognized as one of the hardest foreign languages for English speakers to master. Finding a language course that is up to the task of teaching it therefore can be challenging. Rosetta Stone is the biggest language learning company in the world and so if anyone should be up for the job it should be them. In this review we will examine Rosetta Stone Arabic to see if it delivers on what so many other language courses have failed to do: Teach modern, useful Arabic in a way that anybody can learn. The Arabic language has a number of variations, however, Rosetta Stone Arabic uses Modern Standard Arabic (MSA), which is essentially a formal form of the language used widely across the Arab world. It significantly differs from the Arabic spoken in North Africa, but remains the literary standard across the Middle East, and is one of the six official languages of the United Nations. Most printed material in the Arab world is written in MSA. Colloquial Arabic, on the other hand, which refers to many national or regional variants of Arabic spoken in the region, is not used for written materials but instead used in daily verbal communication. This is essentially the primary downfall of the Rosetta Stone Arabic program; it doesn't help you learn everyday colloquial Arabic, which is most useful when travelling in the region. Rosetta Stone Arabic is an all-inclusive language learning product with a number of different features. The main part of the course is a software program and the speech recognition software. Each level of the software contains about forty to fifty hours of content. Using the software you watch videos, interact with characters by speaking, and select different words and phrases. The software focuses on everyday scenarios like shopping and sightseeing. In addition to the main software, it also comes with an audio companion so that you can learn using CDs or MP3 player. It also comes with a number of games that make the program quite a lot more fun. The best additional features however are the online community where you can interact with other members and the online coaching. Rosetta Stone uses a teaching approach called dynamic immersion. Unlike a traditional language learning methodology there is no translating, grammar practice, or memorization. Instead you learn the language in the same you did your mother tongue. By speaking, reading and writing it. With the course you are immediately immersed in Arabic and begin to practice talking using the speech recognition software. The program is split into 3 levels, with the primary goal being to build a fundamental vocabulary and essential language structure. It will take you about 2 months to finish level 1, and by level 2 you will have grasped a fair understanding of the alphabet and a decent level of pronunciation and understanding of grammar. Arabic is by no means an easy language to learn, but even so, learning progression is slow with Rosetta Stone. The old style repetition technique is effective but will wear down your enthusiasm. That said, the speech recognition and analysis tools do go a long way in improving pronunciation. In reality you can expect to have basic conversation with native speakers at about 3 months, but expect the rather monotonous image recall learning technique to become a little mundane. See the program through to the end of level 3, however, and you will be able to spell and write accurately and engage in real life conversation. Rosetta Stone Arabic, and indeed the system itself, is a tried and tested method of learning by association. But language software has come along way since this invention, and the lack of innovation since its inception leaves it somewhat overpriced and overvalued. The system is far too one dimensional, and with a little effort could be complemented by a dictionary or supplementary language book, rather than having to play Pictionary with the images all the time. If you are hell bent on learning Arabic no matter the time or cost, then Rosetta Stone will help you become proficient in the language. However, if you want to simply learn the basics of the language, or think you might lose interest without a multi-faceted learning approach, opt for a recommended phrasebook or one of the more affordable, more innovative, newer learning systems on the market. Rosetta Stone for level 1 - 3 is currently priced at $279.00 on Amazon which is 30% off the normal retail price. You can also choose to buy Rosetta Stone level one by itself for $125.30. Rosetta Stone also has an online access version of their product which is called Totale, this is priced at $239 for twelve months. Advanced speech recognition software - In the past speech recognition software has been more promise than actually help for language learning. But the advanced speech recognition software that Rosetta Stone uses is the closest yet to mimicking a real life teacher. Rosetta has used millions of speech samples to develop their software and it shows. The speech software is good at picking up nuances and can handle local accents as long as they are not too strong. The speech recognition software also provides you with instant feedback about your pronunciation so that you are able to make corrections. Online tutoring sessions - Its hard to beat talking with actual native speakers in a language that you are trying to learn. Unfortunately unless you are living in an Arabic country or their is a large local Arabic community in your city, it can be a challenge to find someone to speak with. One of the best things about this program is that you get to practice the material that you have learned with a real life coach. This not only gives you a chance to try out your Arabic, it also means that the coach can correct any mistakes that you are making early on. Social learningg - The internet and social networks have really transformed the way that languages are taught. An obvious consequence of this is the online version of Rosetta Stone Arabic called Totale. But another benefit has been the development of the Rosetta Stone online community. 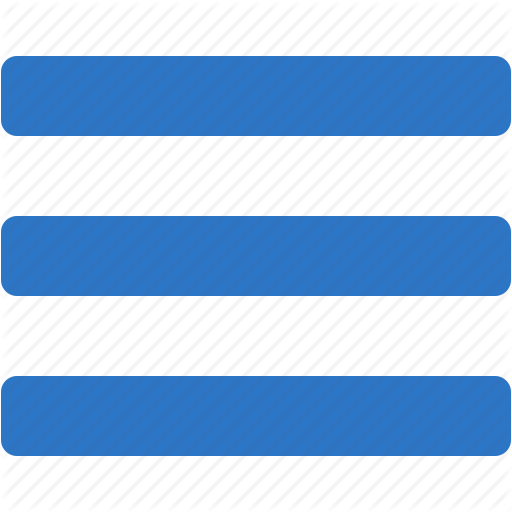 This community allows you to interact with other members by playing games or talking one on one together. If you can find someone with reasonably good Arabic it is a very good way to improve your conversational skills. 30-day money back guarantee - No matter what version of Rosetta Stone Arabic you purchase it is backed by a full thirty day money back guarantee. This gives you plenty of time to see if the learning approach is for you before you commit to paying for it. Teaches Modern Standard Arabic - One of the most clearly identifiable faults with Rosetta Stone is the type of Arabic that it teaches. The program uses what is called Modern Standard Arabic. This type of Arabic is very formal and typically only used by educated speakers in specific settings such as Academic literature or the news. In contrast most Arabic speakers will usually use a dialect local to their area. This means that the pronunciation and grammar may seem more than a little odd for everyday use. That said, it is difficult to see how to see this problem can be avoided. If the course taught a specific dialect it would exclude all others. And even with Modern Standard Arabic you will be understood by almost everyone, even if you sound a little strange. Just keep in mind that this is why your Arabic might not sound quite like the people that you are talking to. Immersion learning can be difficult - Many people struggle with the idea of immersion learning. The idea of learning a language without any grammar rules or translations can seem impossible, especially at first. Because of this initial barrier many students give up before they see results with Rosetta Stone Arabic. However, Rosetta has addressed this problem to some extend. One neat tool is the Show Alphabet feature. This allows you to sound out each letter in a word so that you can hear its exact pronunciation. Another useful feature is the ability to adjust the speech precision. This allows you to let the software select a wider range of pronunciation. It is relatively expensive - Probably the biggest problem that most people have with Rosetta Stone's Arabic course is the price. At almost three hundred dollars for the full course it isn't cheap. There are other courses that are cheaper so if you are on a budget you may want to shop around. That said, you do get a lot for your money with the full package. Social learning is well-integrated with the forums. There's a 30-day money back guarantee. Only teaches Modern Standard Arabic, a very formal Arabic. Not enough focus on colloquial phrasing. Focuses on immersion. People who love to understand the rules behind the language will struggle. Expensive ($239 USD for 12 months access). So is Rosetta Stone Arabic the long awaited learning software that can teach Arabic? The answer is yes and no. 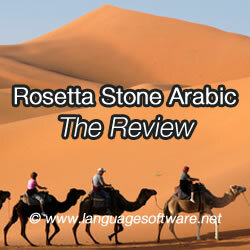 Rosetta Stone Arabic is certainly one of the better language learning solutions for Arabic. The software recognition is excellent, there is constant opportunities to practice your conversational and reading abilities and the online communities and coaching are great. On the downside Rosetta Stone Arabic encounters the same problem that all Arabic language learner courses face which is what type of Arabic to teach. Choosing Modern Standard Arabic is a sensible choice, but it won't make everyone happy, especially if you want to learn a specific dialect. Overall it is a good product, but in my opinion there are other programs which are priced similar but doing a better job of teaching real life modern Arabic while offering more helpful explanations and insights into the rules of this beautiful language.